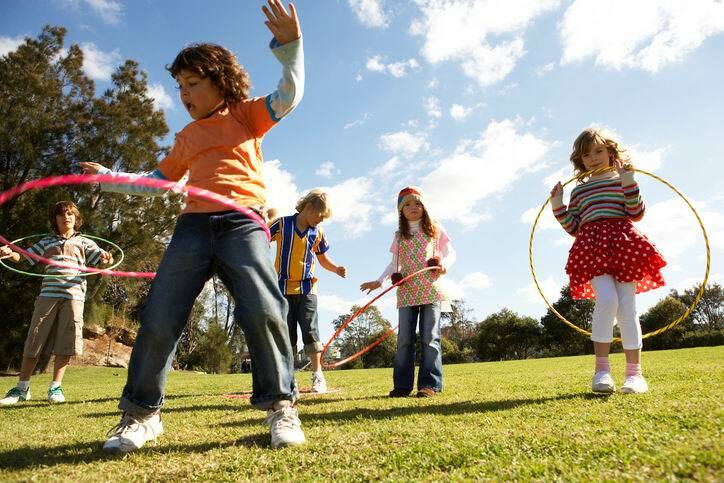 A LACK of physical activity due to the amount of time children are spending playing screen-based games has led to a renewed call for parents to get them to play outside more. Kensington-based family support group Ngala practice consultant Wendy Muller said children aged three to five years old were suffering from poor health that had not previously been seen in this age group due to inactivity. Symptoms include obesity, high blood pressure, poor fitness, high cholesterol levels, higher body mass index and poor bone strength. A report published last week by the Australian Institute of Family Studies revealed that most children were spending large amounts of time on screen activities in excess of the recommended two hour daily limit for screen entertainment. The Longitudinal Study of Australian Children (LSAC) tracked the screen habits of 4000 pre-schoolers through to their early teens over the last decade, recording a steady increase in time spent watching television, on computers and playing electronic games. LSAC manager Associate Professor Ben Edwards said watching television was the main contributor to screen time across all age groups, peaking during the late afternoon, with a smaller peak for younger children in the morning. “Children watched more TV on weekends than weekdays, with overall viewing rates high at age four and five, reducing at six and seven and then edging back up again every two years after that, to peak when kids are 12-13 years old,” he said. Ms Muller said artificial light was also affecting sleep quality and parents had an important role to play by setting a good example and regulating screen-viewing times. “One of the most significant ways screen time affects children is how it impacts on their physical activity,” she said. They can help by putting away their mobile phone during mealtimes, switching phones off until their children are asleep, making bedrooms screen-free zones and getting their children to play outside more. Studies have found that children who are eating dinner in front of the TV once or more a week are more likely to engage in mindless eating. “Their attention is focused on the TV program and not on their full signals with the result they are more likely to overeat,” she said. Professor Edwards said as screens become ubiquitous in adults and children’s lives, expecting children to stick to two hours of daily screen entertainment might no longer be achievable. “However, some management of screen time is important so kids have a quality engagement with television, computers or games and they are not undertaking these activities at the expense of keeping fit and well,” he said.